The birth of Venus. I. 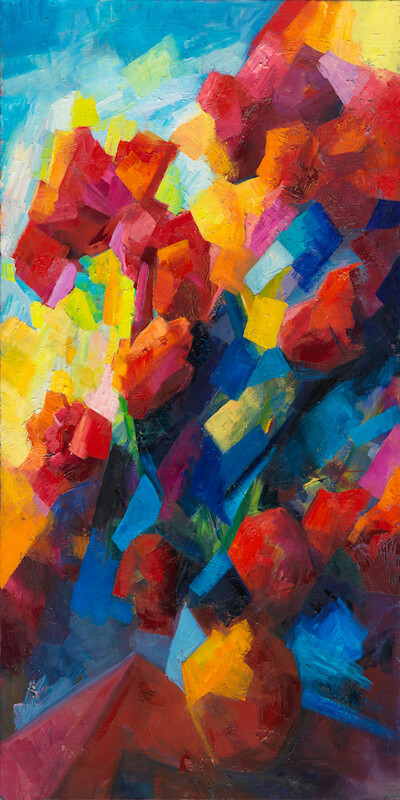 Oil on gallery-wrapped canvases. Triptych, each painting is 24"x48". The "Birth of Venus" triptych is anchored in the mythology of Venus being born out of sea foam. For me, this myth speaks of the birth of beauty, in all its individual shapes, from the primordial, unformed, unity and silence. 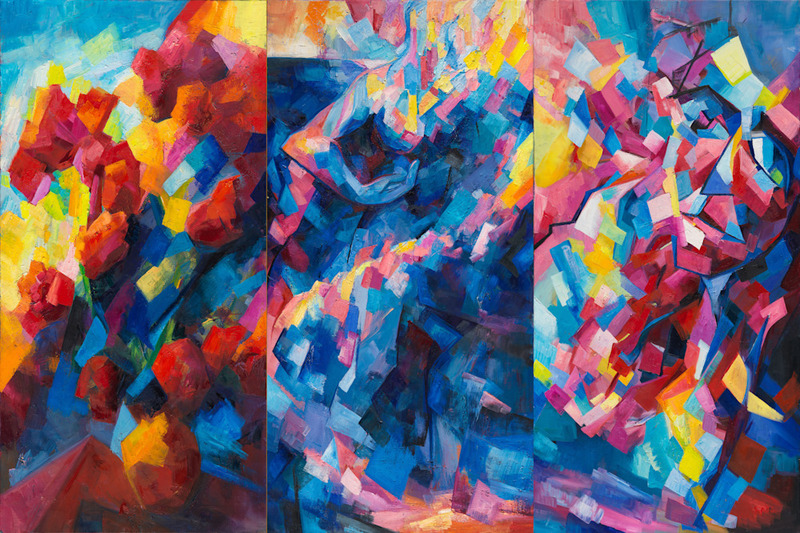 Three paintings, each 24"x48". Oil on gallery-wrapped canvases, edges painted. Hanging wire attached. Please contact me if you have any questions.